What time should I arrive if I have a scheduled court date? If you are scheduled for a trial, please be sure to check in before your scheduled court time. For all other scheduled hearings, you must be present in the courtroom before 11:00 am for the morning session and before 3:30 pm on Mondays - Thursdays or 3:00 pm on Fridays for the afternoon session. Please be sure to arrive at least 15 minutes before these times (or more, depending on the number of cases you have) to ensure you have enough time to check in at the reception window. May I come to the Milwaukee Municipal Court without an appointment or without a scheduled court date? You may be seen on a walk-in basis by checking in at the court reception window. The Court walk-in hours are available weekdays between 8:00 - 11:00 am and 1:00 - 3:30 pm (3:00 pm on Fridays). Please be sure to arrive at least 15 minutes before these times (or more, depending on the number of cases you have) to ensure you have enough time to check in at the reception window. How can I speak to a judge about my case? If you wish to speak to a judge about your case, you must make a personal appearance in court. At your first court appearance on the court date written on your citation (ticket), summons or complaint, you will enter a plea, if you have not previously done so. Bring your citation with you. What is the courtroom procedure at my first court appearance? When your name is called, you should come in front of the bench and face the judge. Someone will read the violation that is charged against you. Someone will also tell you your rights. You then enter a plea of GUILTY, NOT GUILTY or NO CONTEST to the charge. If you are charged with operating a motor vehicle while intoxicated (drunken driving) or with a blood alcohol concentration above what's allowed by law and if your plea is NOT GUILTY, you have the right to request a jury trial. What should I do if I need more time to enter a plea? If you need a delay before entering your plea (for example, to get legal advice or to hire an attorney), ask the judge for a continuance (new court date). You have the right to "discover," or find out or look at, certain types of information that you can prove might help your case. These might include inspecting documents related to your case, getting the names and addresses of witnesses, or asking for a device (like a radar gun) to be tested for accuracy if it was used to help accuse you of the violation. How do I "discover" the information available to me? To obtain information available through your discovery rights, you must file a written "Motion for Discovery" with the court. You must do this within 30 days after your first court appearance. A court hearing on your motion will then be scheduled. For a pre-printed Motion for Discovery form to use, please click here. At the hearing, the prosecution may object to your Motion of Discovery. The judge will decide which information you should be allowed to review. When you enter a plea of NOT GUILTY on a traffic violation, the court will assign you a pre-trial date with the Office of the City Attorney to review your traffic citation. The purpose of the pre-trial is to give you an opportunity to discuss your case, and possibly reach an agreement with the City Attorney so that your case does not have to go to trial. If you are appearing for a pre-trial, your case will be heard in the same branch to which your case was originally assigned. What will happen at my pre-trial court appearance? The City Attorney is the prosecutor. It is the responsibility of the City Attorney to determine whether or not the charge is justified, and to attempt to reach an agreement with you. The agreement is call a "stipulation." If you reach an agreement, the City Attorney will give you a completed "stipulation form" stating the terms of the agreement that will be presented to the judge in court. The judge decides whether or not to accept the stipulation agreement. If you do not reach an agreement, the City Attorney will give you a Pre-Trial Conference report to give to the court. The court will then assign you a trial date. If you do not return to court to present your stipulation form or pre-trial conference report, a default judgment may be entered against you. A default judgment is a fine or sentence ordered by the court when you fail to appear as required. Please be aware that you do not have to make an agreement with the City Attorney. You may want to settle the matter in front of the judge. If you have questions about your rights or about what is happening at any point while in the courtroom, please be sure to ask the judge. What will happen on my trial date? On your trial date, you must appear in court. You are required to check in first with the court receptionist. You do not need a lawyer to have a trial, but you have the right to bring your own lawyer to represent you in court. The court will not provide a lawyer for you. At a trial, two sides present evidence to the judge. The City Attorney tells the court why you should be found guilty. You, your lawyer and your witnesses tell the court why you should be found not guilty. What do I do if my witnesses do not wish to come to court? If your witnesses do not want to come to court, you should ask the court in advance to subpoena them. You may obtain a Subpoena form from the Municipal Court reception window. After completing the Subpoena form for all of your witnesses, you may return it to the receptionist who will forward it for processing. Otherwise, you may mail your completed Subpoena form to the Milwaukee Municipal Court, 951 North James Lovell Street, Milwaukee, WI 53233 where it will be forwarded for processing. For a pre-printed Subpoena form to use, please click here. What is the courtroom procedure on my trial date? If you have witnesses, you must have them in court with you. The City Attorney will call its witnesses to tell the court what they know about your charge. You or your lawyer will be permitted to ask questions of each witness, including the arresting police officer. If you testify, you will also be questioned by the City Attorney. Then your witnesses will have a chance to testify. After all the evidence has been presented, each side of the case can make a brief summary. The City Attorney will point out why you should be found GUILTY. You or your lawyer will point out why you should be found NOT GUILTY. Usually the judge makes a decision right away. If the judge finds you NOT GUILTY, the complaint against you is dismissed. If the judge finds you GUILTY, your penalty will depend on the circumstances of the violation and your past record. If the finding is GUILTY, the judge may delay sentencing and require an evaluation to determine the best sentence for your offense and personal situation. The information you provide must be true; otherwise you may be subject to further prosecution and penalty. If the judge finds you GUILTY, you will be told of the judgment. You will then be asked to leave the courtroom to receive a "Defendant's Notice" slip. This explains the judgment in detail. If you have questions about your rights or about what is happening at any point while in the courtroom, please be sure to ask the judge. What will happen if I am found guilty? If you are found guilty on a non-traffic case, the court will normally ask you for information on your financial situation before sentencing. This gives the judge the opportunity to determine what sentence is appropriate for your offense and financial circumstances. You will normally be given time to pay your fine. If you have income, but can't pay your fine all at once, you may also ask the judge to be put on an installment plan. What can I do if I am not satisfied with the judgment? If you are not satisfied with the judgment ordered by the judge, you have the right to appeal the judgment. An appeal is asking to have your case heard again in a higher court. Both you and the City Attorney have the right to appeal the decision of the judge. The appeal is then heard by the Milwaukee County Circuit Court. How can I appeal the judgment on my case? Ask for a "Notice of Appeal" form at the Municipal Court reception window. For a pre-printed form to use, please click here. Bring the completed form and the appeal fee to the Municipal Court in less than 20 days after the date the judge found you guilty. You may not mail the form to the Municipal Court because the appeal fee must be paid at the time you file the appeal. Check in at the Municipal Court reception window and ask to see the judge. In court, the judge will decide whether or not you should post bond. The bond (or bail) money is a type of deposit in case the higher court also finds you guilty and responsible to pay the fine. Usually the bond is similar to the full amount of the fine. It is returned to you if the higher court finds you not guilty. Pay the appeal fee and bond at the cashier's window. Unless you pay these amounts (or they are waived by the judge), your appeal application will be returned to you and the time allowed for appeal could run out. 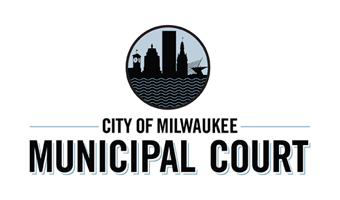 If you file the appeal properly, the Municipal Court will send your case to the Milwaukee County Circuit Court. What kinds of appeals are available to me? There are two types of appeal procedures. You may ask for either. Request for a "de novo" trial. At a de novo trial, the Municipal Court trial record cannot be used. Instead, the Circuit Court conducts an entirely new trial and will notify you of the date. The new trial will be conducted without a jury unless you specifically request it in the "Notice of Appeal." Appeal trials use a 6-person jury. Appeal "on the record" . If your appeal is "on the record", the Circuit Court judge will read the Municipal Court trial record and decide whether to agree or disagree with the Municipal Court judge. In this procedure, you do not have a new trial.